One of the highlighted events of this year was the highly-regarded Goldman Sachs 10,000 Small Businesses Summit. The event touted industry leaders, policymakers, and influential experts such as Warren Buffet, Sir Richard Branson, Lisa Price (Carol’s Daughter), Sara Blakely, Michael R. Bloomberg, Tyler Perry, and more. Early on, much of his success was driven by running from poverty. All he knew was that he didn’t want to be poor again, and desired strongly to take care of and retire his mother who was failing in health. According to Perry, knowing that she was well taken care of in her later years was the most miraculous and rewarding experience. His creative side spawned from the pain of his childhood—the tragedy and trauma. This pain incubated an incredible imagination because “no matter how dark and difficult things were at that time, I could go inside of my head and go somewhere else.” he said. His imagination became so strong and so vivid until he could sit in a room and figuratively feel himself sitting with the characters that he was writing about. Believing that all things would eventually work together for his good, he leveraged every trauma, trial, and tragedy to tap into a greater purpose. The imagination is truly one of the most powerful nations on the planet. The first play was scripted when he was around 18 or 19-years-old, although he didn’t know it was a play at the time. One day he was watching The Oprah Winfrey Show and she expressed that it was cathartic to write things down. He took heed and started assigning characters to some of his stories, and his destiny started to take shape. It’s no secret that many businesses struggle with funding, and at 22 years old, Perry didn’t have much by way of life savings. He worked various gigs, sold used cars, and didn’t mind working hard to accumulate cash. He saved $12,000 and moved to Atlanta to invest it all into his first play: I Know I Have Been Changed. After a difficult time attracting an audience, Perry dedicated himself to learning how to identify, target, magnetize, and attract an audience. From 1993 to 1998, Perry attempted to put on a play once a year while working jobs in between. Despite hearing the negative chatter of “Quit!” he built slowly over time and kept his faith during the lean years. 1998 was the breakthrough and breakout year that would change the trajectory of everything. It ushered in one moment that turned it all around—a SOLD OUT show and that happened over and over again. According to Perry, if social media existed during those lean years of 1993 until 1998, when he had an email list of a few million people, he could have sold out of shows without any advertisement. Today, with the proliferation of platforms, it’s easy to get fragmented if not careful. But if you focus on a concentrated market or niche, you’ll be in good shape. For your business, Perry advises strongly against jumping from idea to idea, comparing it to a bucket of water. If you’re trying to water a full garden, take the water and focus it on that “one” plant, and allow it to grow so that it can get the resources it needs to grow the other plants around it. In terms of mentorship and nurturing, there wasn’t a lot of support but after watching The Oprah Winfrey Show, he drew inspiration from there. At that time, there were more naysayers, dream killers, and those who said or believed he couldn’t succeed than positive supporters. Sometimes the closest people around you will fail to support you. Some are trying to protect and shield you from disappointment. It genuinely could be coming from a place of love, to keep you from the pain of repeated failure. Some will come with leaves on their tree, they’re there for a season. When the wind blows too hard, they’re gone. They can’t take too much. There are those who are like branches, they’re a lot stronger. You can give them more, but they may break and leave you high and dry. Get a few roots in your life. They’re there to hold you up. Never be mad or upset if they are a leaf or a branch. They are who they are, just make sure the roots are always there! Perry has more exciting plans in the future with the upcoming “decommissioning” of Madea and the release of other new films in entertainment. 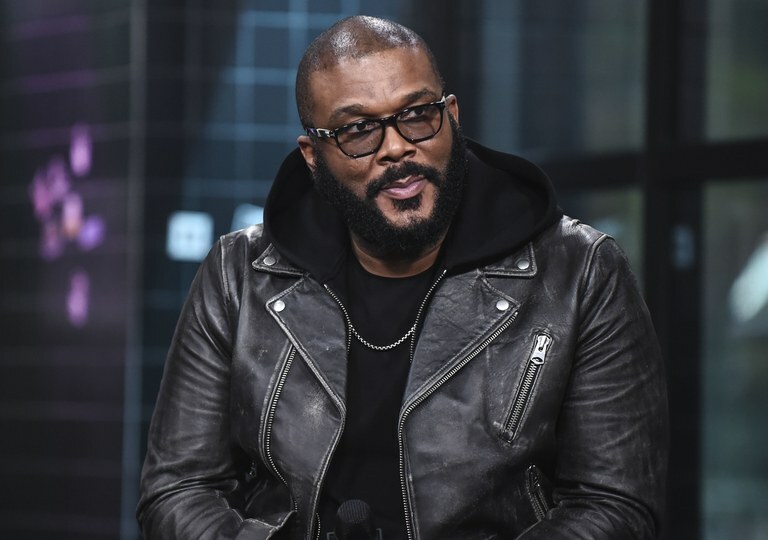 With the purchase of 330 acres on an old Army base outside of Atlanta where Tyler Perry Studios resides, the site is actually larger than Warner Bros. The first movie to shoot there was Black Panther.